Andrew Burton/GettySpotify CEO Daniel Ek. 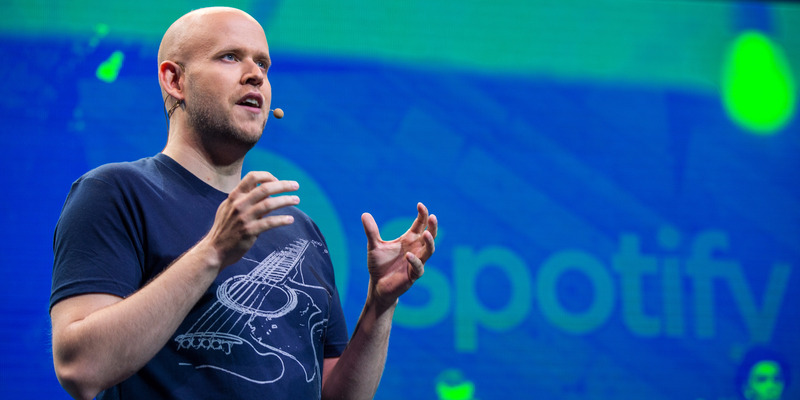 Spotify CEO Daniel Ek has no intention of selling his company, and he doesn’t think other rising startup founders should either. What I’m excited about, when it comes to a city like Stockholm, is that we’ve had a couple of exits. We’ve had Minecraft, Skype’s Niklas Zennström, who ended up founding a VC company. So for the first time now there’s an ecosystem around it, with capital and experience that can actually help guide entrepreneurs. One advice I give is don’t sell. That’s the biggest problem we have. All of these things that could have gone gigantic if you had just kept on course, and doing what you were doing. My selfish ambition with Spotify is just to trying to show the path, that we can create one of those super companies here in Europe. When asked directly if he would sell Spotify, Ek responded, “I’m not going to sell, no,” according to Reuters. Ek, it seems, would rather create a “super company” of his own.